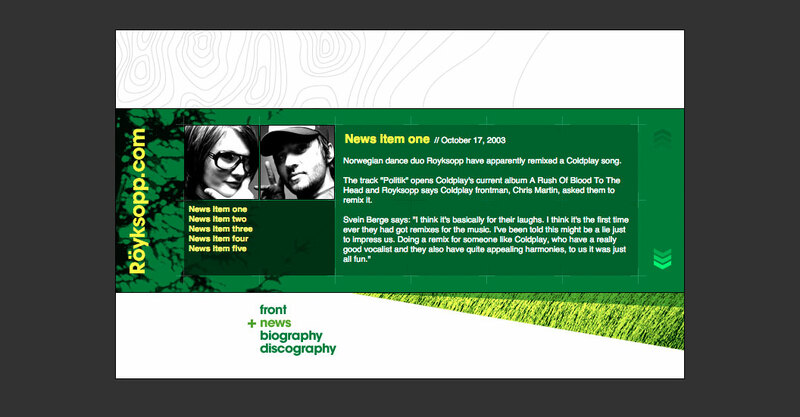 Even two years after the release of their million-selling first album, Melody AM, Röyksopp still only had a holding page to represent them online. 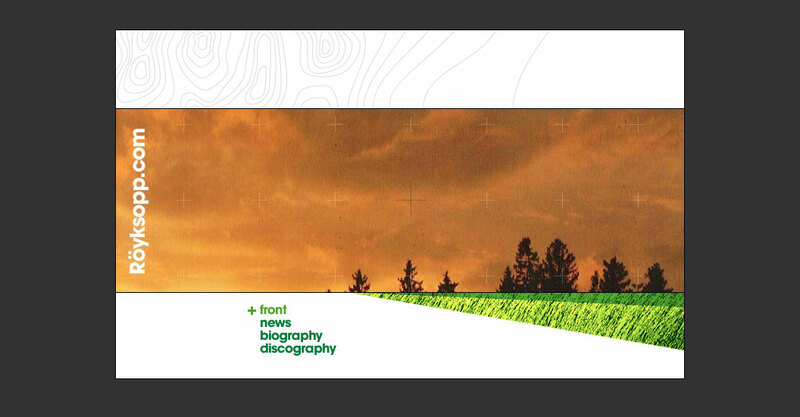 As a stop-gap, I worked with their management company, DEF, to produce a ‘microsite’. The band took inspiration from the landscapes and nature in their home of Tromsø, Norway, so the site referenced this with earthy colours, grass texture and topographical motif. Within it provided news, samples of the music and built anticipation for upcoming releases. When the band released their next album The Understanding, in 2005, I re-skinned the site to reflect the new aesthetic.